Patrick Ross is a musician and music educator living in Vermont. 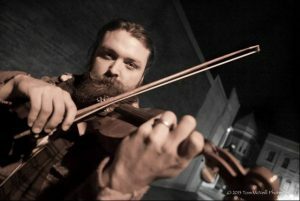 He plays numerous stringed instruments, teaches young people and adults musicianship and music theory, and is an accomplished player. He’s a very thoughtful and deliberate person. Baruch and Patrick discuss Patrick’s relationship with music, and with life, and we’ll hear some of Patrick’s music. Thanks to Kristina Stykos, of Pepperbox Studio for introducing Patrick and Paradigms. Music by: Patrick Ross, Patrick Ross & Hot Flannel, Patrick Ross and Bob Amos and the Mountain Money All-Stars, Patrick Ross & Steve Wright.